Experts in wood flooring with the knowledge and expertise to fit any wood species in any pattern, and the wood floor staining skills to match any floor to your bespoke colour choice. 20+ years of experience in sub-floor preparation. At Euro-Pean Flooring in Horsham we are proud to be classed at experts in wood flooring, with the knowledge and expertise to fit any wood species in any pattern (from Herringbone to Chevron to Versailles panels), and the wood floor staining skills to match any floor to your bespoke colour choice. We work with all main wood flooring manufacturers as well as bespoke suppliers to create that unique floor for our customers, offering Herringbone, boarder work, sanding, re-finish and sealing – plus we supply all widths of boards from 100mm up to 400mm wide in all grades of engineered and solid wood floors up to prime grade oak (laminates are also available if requested). 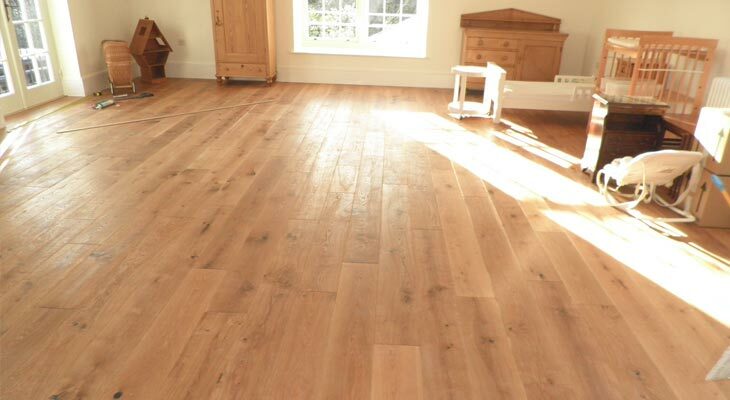 Materials for our wood flooring installations are of the absolute highest quality, FSC sourced from sustainable suppliers, and with 20+ years of experience in sub-floor preparation (the key to wood flooring) our technical knowledge enables us to ensure your sub-floor is right for fitting the top layer. For all wood flooring enquiries including free no obligation site surveys and advice, please either telephone us or send us a message. Wood flooring comes in a huge range of species, grades, colour stains, textures and finishes, and is available in solid wood (or real wood), engineered wood or laminate construction. Each has their pros, cons, uses, cleaning and maintenance issues. 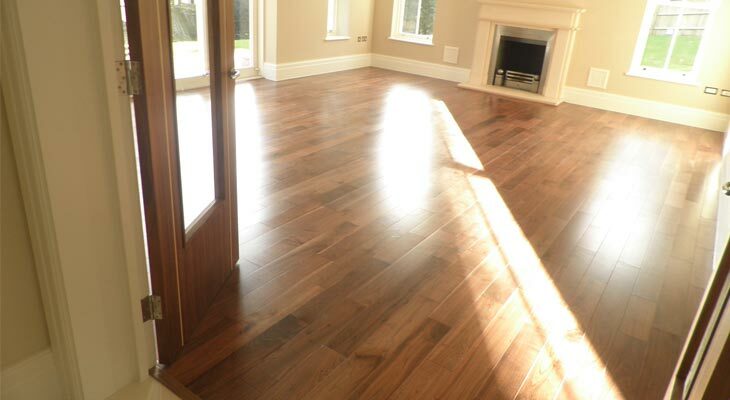 Euro-Pean Flooring in Horsham have written this article to help those interested in wood flooring. 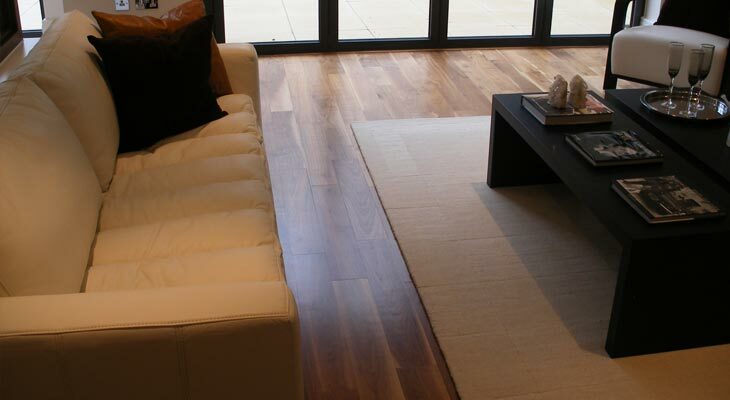 Solid wood flooring is made from single pieces of natural hardwood timber. 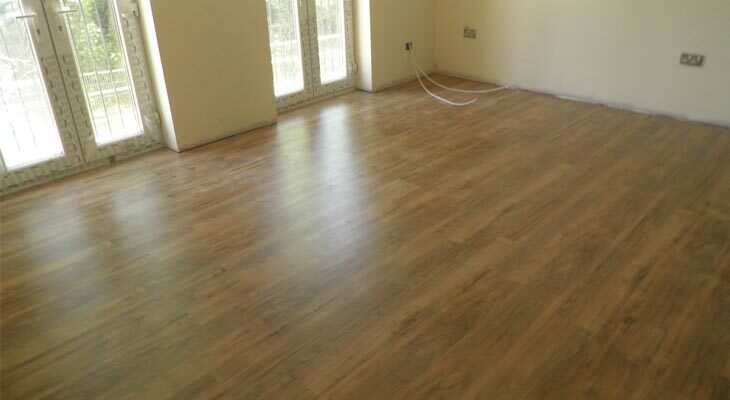 The thickness of each board is generally greater than engineered or laminate flooring, ranging between 18mm and 25mm thick, and is usually fitted using tongue-and-groove. After both manufacture and installation, solid wood will naturally react to subfloor moisture levels, humidity and seasonal temperature changes by expanding or contracting, so care needs to be taken during installation. 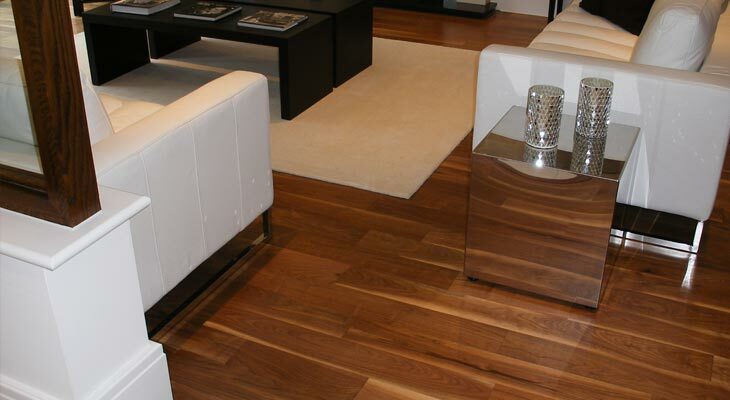 The two main types of solid wood flooring are plank flooring and parquet flooring. Plank flooring, as the name suggests, is when the wood comes in the form of a plank. The lengths of these planks normally range from around 1200mm to 2200mm and widths from 100mm to 200mm although exceptions to this can be found. Plank wood flooring can be supplied in many species of wood with either a pre-finished surface or unfinished ready to receive a stain/lacquer. The texture of the surface is also down to personal preference, with smooth or textured/weathered finishes available. This is the most common type of solid wood installed today. Parquet floors or wood block flooring have a very different look from typical hardwood plank floors. They are made up of geometrical patterns composed of individual wood blocks held in place by mechanical fastening or an adhesive. 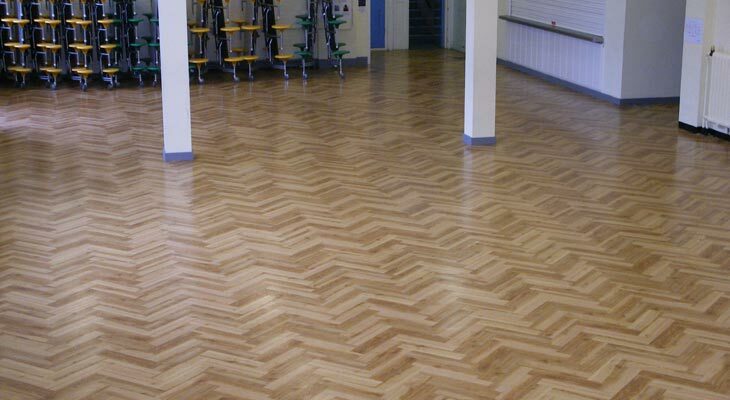 This type of flooring is more often found in older buildings such as schools where patterns such as herringbone designs are used to break up the appearance of the floor. 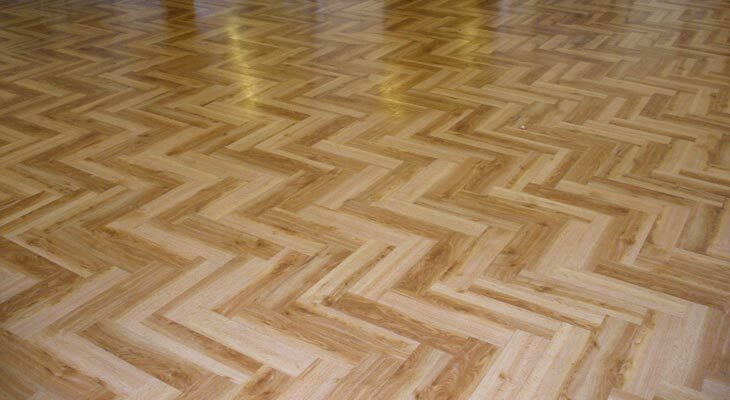 Generally more expensive than plank flooring, parquet flooring is a dying art that is rarely installed. 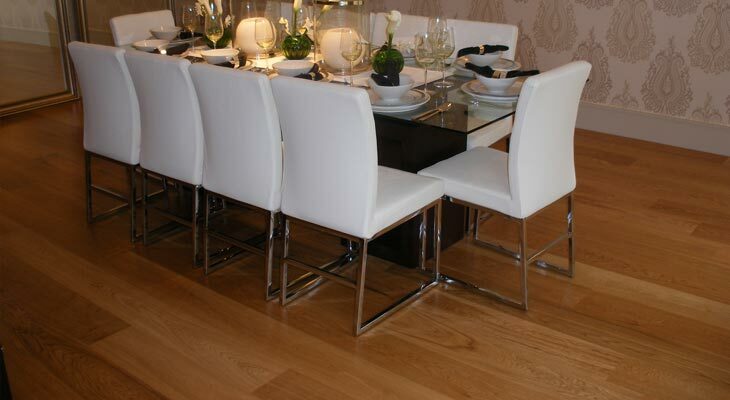 Euro-Pean Flooring has access to some of the countries leading suppliers of parquet flooring. Installation presents two choices. Fully glue the wood floor down to for example a concrete subfloor, or more preferably secret nail it down if for example the subfloor is a plywood base. Note that if you are thinking of gluing, check the moisture content of the subfloor to make sure it is less than 4%. Euro-Pean Flooring Solutions in Horsham provide a free under-floor survey for all of our customers, detecting any subfloor problems and advising solutions in advance of fitting. And we always use leading adhesives as standard in all flooring installations. 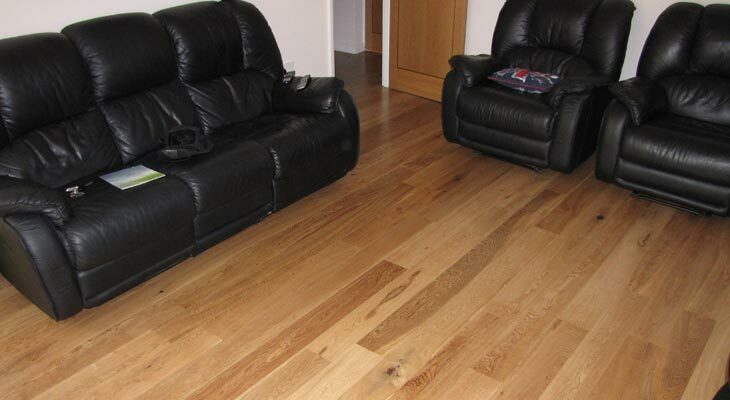 If looked after, wood flooring can last generations. And depending on how deep the tongue is set, can be sanded and then re-finished a number of times to bring it back to its original glory. People love solid wood floors. They are not only stunning in appearance in any domestic flooring or commercial flooring environment, they also add value, are easy to maintain and are also hyper-allergenic. 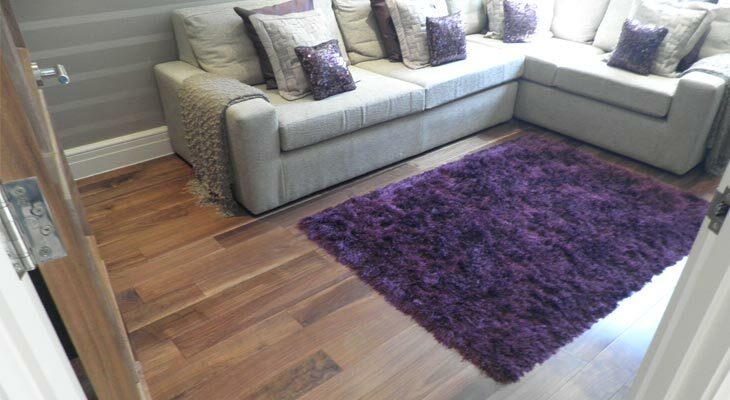 Prices of solid wood flooring depend on the type of wood used and its cost in raw form, and range from £20 up to £100 per square metre for rare tropical hardwoods. Engineered wood flooring is usually made up of three separate layers stuck together under high pressure, and should not be confused with laminate flooring. 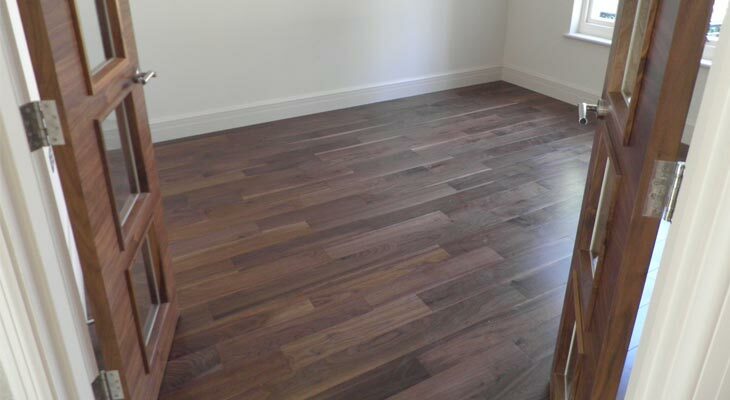 The top layer is a hardwood or real wood layer ranging in thickness from 0.7mm up to 6mm, and provides the looks. The core middle section can be made from HDF, soft wood or plywood, and provides stability and strength. The bottom section is usually softwood. This three tier construction with grains running in different directions makes engineered wood flooring more dimensionally stable then solid wood flooring, with similar great looks. 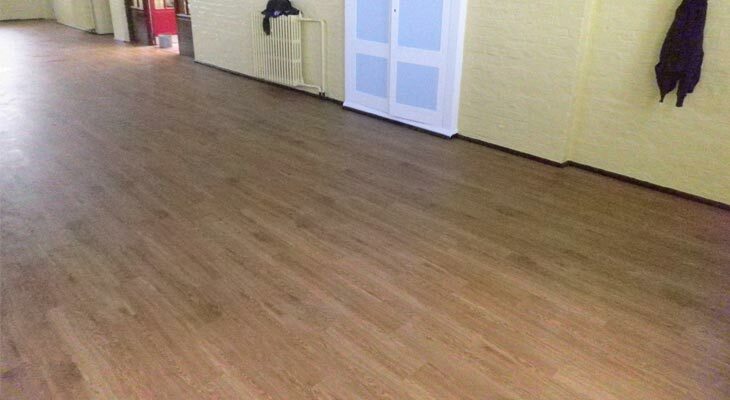 It is also much easier to install, as it can be laid over any type of subfloor as a floating click installation, or stuck down using the correct adhesive. It is less prone to expanding and contracting problems that solid wood flooring may have. Prices of engineered wood flooring range from £11 to more than £70 per square metre for the really expensive woods like maple, teak and walnut. It is slightly cheaper than comparable solid wood pieces. Laminate flooring should not be confused with engineered wood flooring. It is a hybrid, a compressed fibreboard plank, covered with a wood photograph, in turn covered with a strong protective film. Laminate is a cheap alternative to solid wood flooring installed using a simple click-lock method and is available in a wide range of natural material imitations. The disadvantages of laminate flooring are never feeling quite like the real thing and a susceptibility to joint wear and irreparable damage over time. 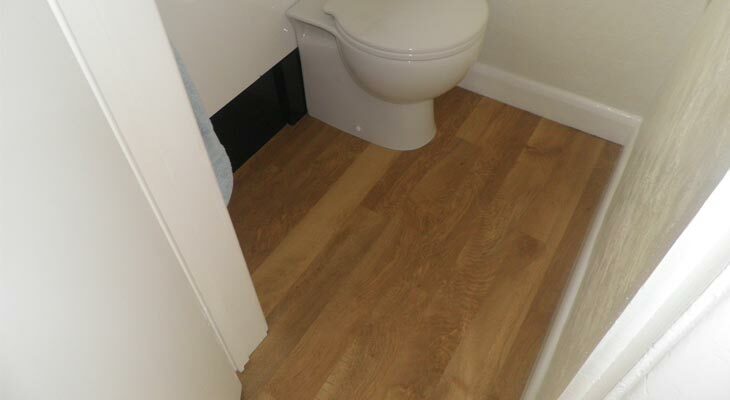 House buyers tend not to be fans of laminate flooring. 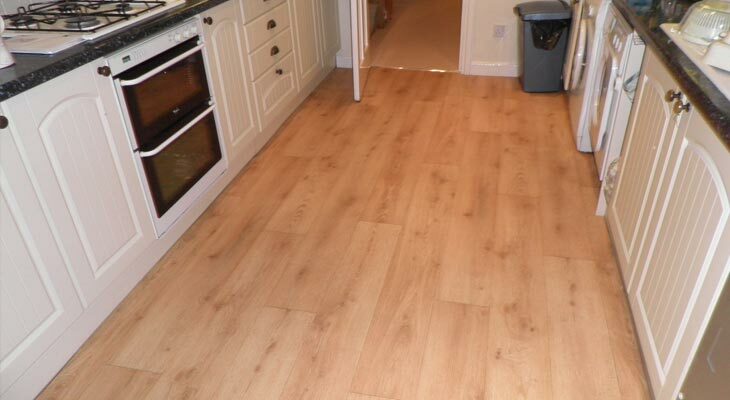 Prices of laminate flooring range between £6 and £30 per square metre. A primary decision when considering wood flooring is which species of wood to use. Most wooden floors are made of oak, but there are more than 50 wood species to choose from, domestic and exotic, spanning many colours, grains, hardness ratings, substances and textures, not to mention how it will blend with surroundings. 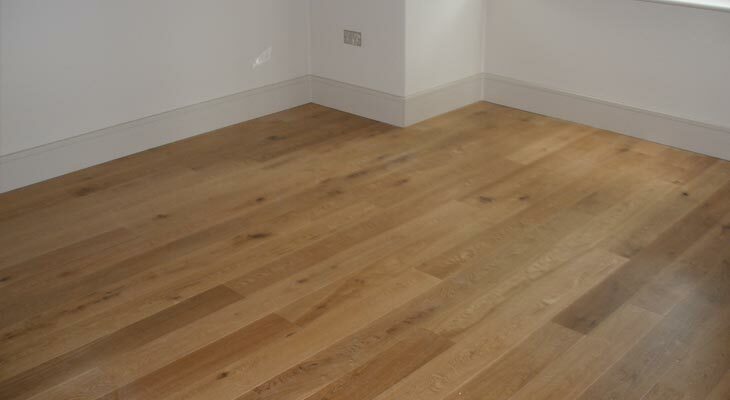 Here is a list of wood species that Horsham based Euro-Pean Flooring recommends. Each wood species has different levels of hardness, called a hardness score, indicating how easily the wood can be damaged, dented or worn. Soft woods such as pine have a low hardness score while hard woods such as oak have a high hardness score. The hardness of a wood should be closely considered when it is to be installed in high dense traffic areas like commercial halls or home hallways. 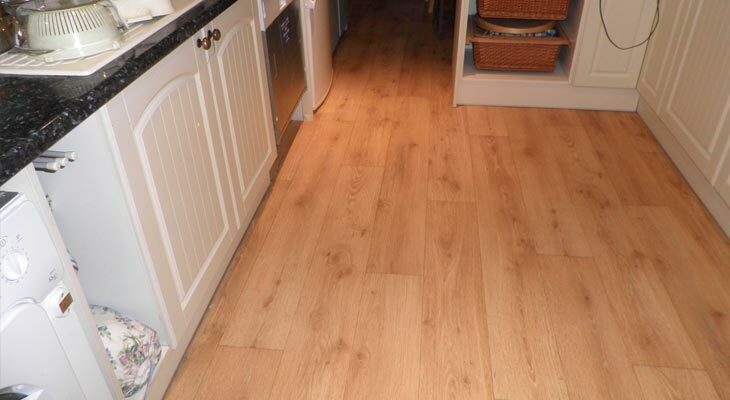 Advice from your reputable Horsham wood flooring installer Euro-Pean Flooring is always available. Measuring a wood species’ hardness score is carried out under laboratory conditions. 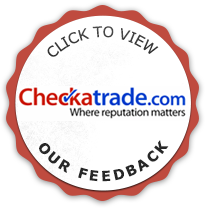 The main wood hardness tests are the Brinell test and the Janka test. The Brinell hardness test is a simple but very precise way of measuring the hardness of wood and is a British Standard (EN 1534:2000). The test was developed by the Swedish engineer Johan August Brinell in connection with the World Exhibition in Paris in 1900. It is made by pressing a small steel ball against the surface of the wood with a heavy load. The Brinell value is determined by the size of the indention made in the wood. It’s all about leaving as small an indention as possible as this indicates that the wood is very hard. This means: The higher the Brinell value, the harder and more durable the wood floor. As wood is a living material with a diverse structure shaped by many years of growth, the Brinell test is done many times for each wood specie and therefore the values in the table below are average values. The Janka hardness test was devised by the National Wood Flooring Association and gives a value based on the relative hardness of popular wood species. It works by measuring the force required to push a steel ball exactly half way into the wood surface. Finishing a wood floor not only makes it look beautiful, but it also protects it from wear, dirt, moisture. There are many wood floor finish products to choose from, each with their own pros and cons as they play a part of the two stage wood finishing process. Step one is the finish itself to present a stunning appearance and bring out the wood’s natural beauty, character and grain. Step two is to apply the wood floor oil or lacquer in order to preserve the natural beauty, so that every day wear and tear and maintenance does not ruin the quality finish. 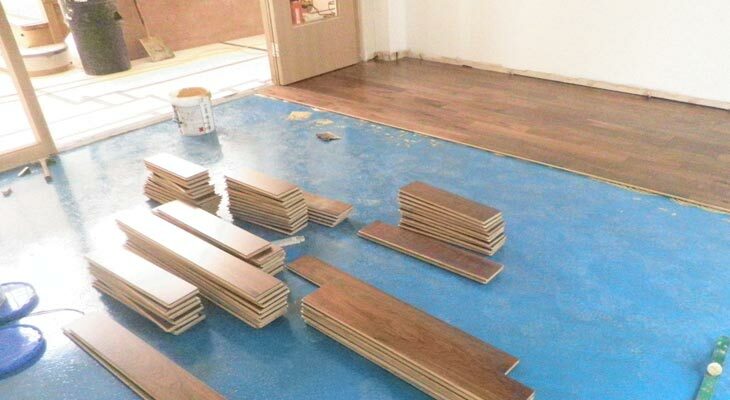 Pre-finished wood flooring is where the wood is finished before it is delivered to the customer. Once on-site and installed there is no wait for the finish to dry and cure or need for sanding. The only problem with pre-finished boards is – should they not be perfectly flat, they cannot be sanded down without the removal of the pre finish. This potential problem is most commonly overcome by the manufacturer by applying a micro bevelled edge around the board. This enhances a plank appearance of the product. Should you not require or desire a bevelled edge to each board and prefer a perfectly smooth texture then unfinished wood may be the answer. Unfinished wood flooring is where the wood is installed and then sanded flat and finished in place. This is better for if you need to play around with stains and finishes once the floor is in place to achieve a certain result to match room surroundings. Danish oil producing a low lustre finish. Finishing oil ideal for reviving old woods. Lemon oil good for matt finishes where wax is not wanted. Linseed oil although traditionally not ideal for wood finish. Teak oil leaving a shine when dry. Tung oil which is water resistant and applied easily giving a superior finish than linseed oil. Lacquer gives a darker finish and is quick drying, durable and easy to maintain (often used in furniture factories). Note that it does give off dangerous fumes, is flammable and not very water resistant, and is not used as often nowadays. Polyurethane is a plastic coating and is popular due to its abrasion resistance and clear appearance. Note that one coat is better than several coats of water based wood finish, but can crack after a number of coats. Shellac is a fast drying alcohol based natural resin that produces a dark finish. It comes in both flaked and liquid form but is not quite a durable as lacquer and varnish, and is not recommended on surfaces which may hold food. 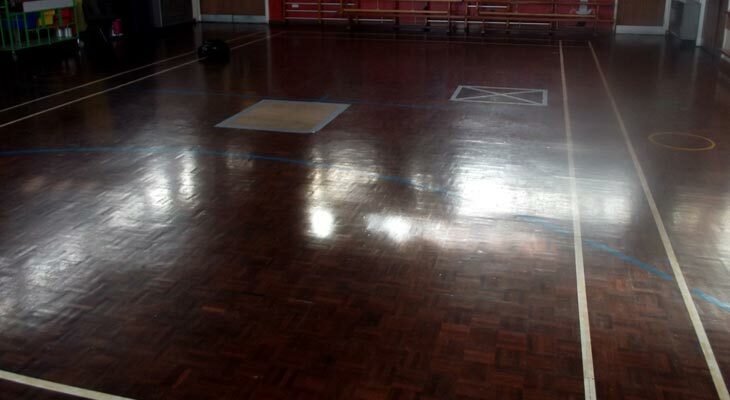 Varnish is very durable and often combined with polyurethane for extra protection. With each coat of varnish applied comes more protection and a darker smooth glossy finish. These wood finishes are environmentally friendly. They are best applied after sanding on a damp surface and are fade resistant. They can leave brush marks and bubbles but are easy to clean and are child and pet friendly. After applying, coat with sanding sealer before finishing. Wax is the oldest and cheapest type of wood finish, applying easily and drying quickly. 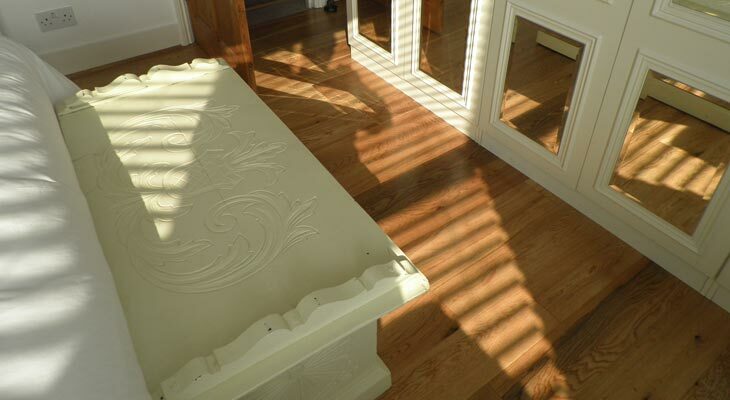 It is usually applied thinly over a stain or sealer then buffed to the desired sheen, and will last if looked after. Note that water can cause spotting if coming into contact with a waxed floor. Oil-modified urethane is generally the most common surface finish and is easy to apply. It is a petroleum base with a blend of synthetic resins, plasticizers and other film forming ingredients that produces a durable surface that is moisture-resistant. It is a solvent base polyurethane that dries in about eight hours. This type of finish ambers with age and comes in different sheen levels. It is not very environmentally friendly. Moisture-cured urethane is a solvent-base polyurethane that is more durable and more moisture resistant than other surface finishes. Moisture-cure urethane comes in non-yellowing and in ambering types and is generally available in satin or gloss. These finishes are extremely difficult to apply, have a strong odour and are best left to the professional. Curing of this type of finish is by absorbing minute quantities of moisture vapour from the air, which causes them to dry and harden. The curing process is very dependant on relative humidity of the area to be treated. Water-based urethane is a water-borne urethane with a blend of synthetic resins, plasticizers and other film forming ingredients that produces a durable surface that is moisture-resistant. These finishes are clear and non-yellowing and are different sheen levels. They have a milder odour than oil-modified finishes have and they dry in about two to three hours. Water-based urethanes are generally more expensive. 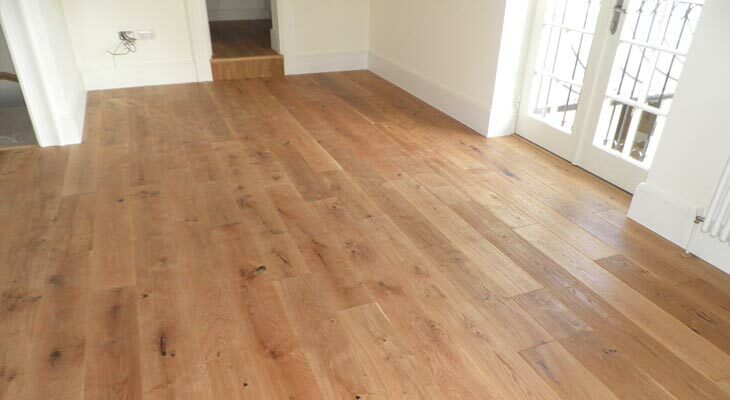 It is recommended that a wood floor should be installed by experienced professional wood flooring installers such as Euro-Pean Flooring Solutions in Horsham. And just the same, if wood floor repairs are needed seek expert advice. Cleaning wood floors nowadays is much easier than it was in years past, little more than sweeping with a soft broom or using the correct attachment when hovering. Every so often a wood floor should be cleaned using professional wood floor cleaning products recommended by professional wood floor installers such as Horsham based Euro-Pean Flooring. Preventative maintenance is also important for wood floors. Damaged high heels with exposed metal can really damage a wood floor the same as any other sharp or hard objects like knives, stones and pins, and even sharp pet claws. Removing surface dirt regularly and protection from furniture legs using floor protector pads is a must. Of course use doormats to remove as much dirt and grime from feet in entrances.